Knee pain can be from a variety of sources such as the spine, hip and a variety of structures in and around the knee. Of course, the treatment of knee pain does not necessarily mean that surgery is required. In fact, non surgical options are very often the first line of treatment. This could include lifestyle modifications, pain killers, physiotherapy and injections. Arthritis is the wear and tear of the cartilage that covers the bottom of the thigh bone and the top of the shin bone. Cartilage allows the joint to run smoothly. As arthritis develops from mild to severe, the cartilage becomes thinner and develops cracks within it until bone is exposed so that severe arthritis ends with bone rubbing against bone. Knee replacement surgery involves removing the arthritic surfaces of the bottom end of the thigh bone (femur) and upper end of the shin bone (tibia). 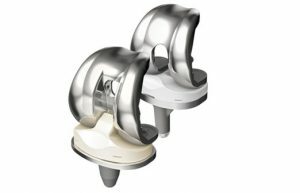 These surfaces are replaced by metal components with a very hard plastic bearing surface in between the two bits of metal to allow the knee to move freely and smoothly. Advances in both surgical technique and enhanced recovery programmes have allowed patients to mobilise quicker and with less pain in order to regain normal activities much sooner. What happens during my clinic visit? Mr Nasr will talk to you about all the issues you have with your knee, particularly focusing on your pain and how this is affecting your quality of life. He will ask about your previous medical history and any previous surgery. You will need to bring a list of medications with you. He will then examine your joint and review X-rays, which you may have had done already. Some patients need to have new X-rays or a different type of X-ray performed. We will then have a discussion about the best way forward. This may include continuing with pain medication, altering your lifestyle, stopping smoking, reducing weight and potentially having injections in the clinic. Only once all of these ‘simple’ measures have been exhausted should we then discuss surgery. This may involve ‘keyhole’ knee surgery to visualise the knee joint and trim away any damaged cartilage or if your arthritis and pain are severe enough, we will then discuss knee replacement surgery. If surgery is deemed the correct course of action, we will go through a consent form which explains the risks and benefits of the proposed surgery. Only once we are in agreement as to the way forward will your name be placed on the waiting list. What can be done about my knee pain? Treatment will always start will simple measures. This includes pain killers, such as paracetamol, ibuprofen and occasionally stronger medication that will need to be supplied by your General Practitioner (GP). Some people find some over the counter rubs and gels may help as well as Glucosamine tablets that can be bought from chemists and health food stores. Another measure, although not straightforward, is to be honest about your weight and aim to achieve a Body Mass Index (BMI) of under 35. Hips and knees are weight bearing joints so the more weight you can lose, the less stress goes through your joint which should improve your pain. Injections are occasionally possible but these are normally reserved for particular circumstances. What happens if I opt for surgery? You will often need a pre-admission appointment where you suitability for an anaesthetic is assessed. You may be assessed by a nurse or in some instances a Consultant anaesthetist if there are any issues that need to be looked into further. What preparations do I need to make before surgery? You will need to ensure that your home circumstances are set up so that you are able to do your exercises once discharged and that you have the support of a family member or friend for the first 2 weeks. You will discharged with the support of crutches which may make your normal home activities more difficult. a. You will not be able to drive for 6 weeks, so this needs to be taken into account. You may want to enquire about options for transport in your local area, such as buses and any assisted transport schemes. You will receive directions from the hospital as to where to proceed. You should normally have nothing to eat or drink from 2 in the morning on the day of your operation as the anaesthetist will need you to have an empty stomach prior to any planned anaesthetic. You will be placed into a hospital gown and will be prepared by the nurse for theatre. Mr Nasr will see you prior to your surgery to check the consent form and mark the joint we are operating on. The anaesthetist will also come to talk to you on the day of surgery to discuss the options for anaesthetic and your pain relief afterwards. The surgery involves a long incision on the front of the knee, usually around 20cm long. The arthritic surfaces of the bone as well as the menisci (shock absorbers) are removed with special cutting jigs and the knee replacement is inserted to give a joint that moves from fully straight to bending beyond 90 degrees. The thigh bone(femur) component is made of cobalt-chrome alloy, the shin bone (tibia) component is made from titanium with a very high density plastic insert used as the bearing surface. The insert is firmly fixed to the tibial component. They are normally held in place with bone cement which acts like a grout securely integrating into the bone. 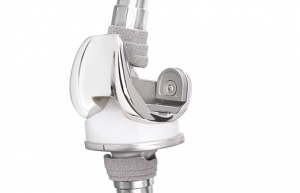 The knee is tested for stability and to ensure that the knee straightens and bends fully. The knee is stitched in layers and the skin is closed with absorbable sutures but occasionally skin clips and a bulky dressing for the first 24 hours or so. Patients will spend some time in the recovery room before being transferred to the ward. There will be some discomfort in your knee if you have woken from a general anaesthetic but no pain if you have had a spinal anaesthetic (this takes 4-6 hours to wear off). You will be attached to some monitors to check your heart rate and breathing. You will have adequate pain relief that will include pain killers given through a drip in your arm. It is also possible to use a morphine pump. You will be mobilised within a few hours of your surgery. After 24 hours you should be taking tablets by mouth and walking around the ward and to the toilet. You will be cared for by the ward nurses and your rehabilitation supervised by the on-site physiotherapists. You will have a blood test after your surgery to check your blood count is satisfactory. An X-ray is normally taken soon afterward to check the position of the implants. Only once the Mr Nasr, the physiotherapists and the nurses are happy that you are safe for discharge and are mobilising satisfactorily, will you be discharged home. You will be given exercises to perform at home by the physiotherapists, which you must strictly adhere to if you are to get the best possible result from your surgery. The hard work starts when you are discharged. Knee replacement surgery is a very successful surgical procedure. However, as with any form of surgery, there are risks and complications that need to be taken into account before you decide to proceed. 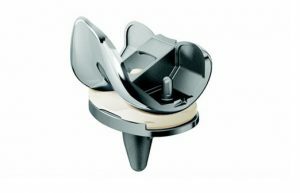 Around 15-20% of patients with a knee replacement will have an issue with their knee. 3. Infecton – this is the biggest concern for an orthopaedic surgeon and we take very careful precautions in order to minimise this risk. We operate in very strict conditions in theatre and you will given 3 doses of intravenous antibiotics. What happens after I’m discharged? You will then be reviewed at 6 weeks to assess your pain, mobility and function and also your suitability to resume activities such as sleeping on your side and driving. You will normally be followed up for 6-12 months and if all is well be discharged at this point. 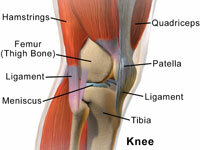 Pain is the major symptom of most problems of the knee. Other symptoms may include swelling, feeling as though the knee is going to give way or collapse. Some people do fall to the floor. Knees may also be stiff, make noises. 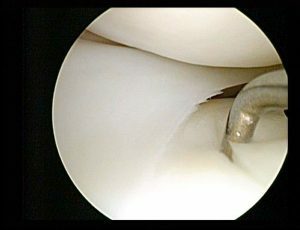 A knee arthroscopy (keyhole surgery) may sometimes be an option for some patients who have symptoms of cartilage tears without severe arthritis. If a patient is deemed to have pain emanating from a torn meniscal cartilage, then this procedure may help a patients pain. If keyhole surgery is deemed the correct course of action, we will go through a consent form which explains the risks and benefits of the proposed surgery. Only once we are in agreement as to the way forward will your name be placed on the waiting list. There are no ‘quick fixes’, such as cartilage implants or washouts for knees that are already badly arthritic. You will often need a pre-admission appointment where your suitability for an anaesthetic is assessed. You may be assessed by a nurse or in some instances a Consultant anaesthetist if there are any issues that need to be looked into further. You will need to ensure that your home circumstances are set up so that you are able to do your exercises once discharged and that you have the support of a family member or friend for the first week after surgery. You will be discharged with the support of crutches which may make your normal home activities more difficult. a. You will not be able to drive for 1-2 weeks, so this needs to be taken into account. You may want to enquire about options for transport in your local area, such as buses and any assisted transport schemes. Any walking aids you may be using. The surgery involves 2 small incisions on the front of the knee, usually around 1.5cm long. A special camera (arthroscope) is inserted through one incision and instruments inserted through the other. The whole of the knee joint is able to be visualised and photographs taken of the inside of the knee. Cartilage tears can be trimmed with specially designed shavers and instruments. The incisions are stitched and a small dressing applied with a bulky dressing over the top which can be removed after 24 hours. You will need to keep the wound clean and dry and keep the small dressings on for 10 days. Patients will spend some time in the recovery room before being transferred to the ward. There will be some discomfort in your knee if you have woken from a general anaesthetic. You will be attached to some monitors to check your heart rate and breathing. You will have adequate pain relief that will include pain killers given through a drip in your arm. 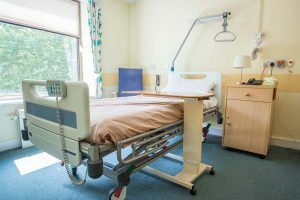 You will be mobilised within a hour or so of your surgery and once mobilised with the physiotherapists, discharged within 4-8 hours of your surgery. You should only need to take paracetamol or other over the counter tablets by mouth for about a week and be able to walk normally within this time. You will have be given exercises to perform at home by the physiotherapists, which you must strictly adhere to if you are to get the best possible result from your surgery. 3. Infection – this is the biggest concern for an orthopaedic surgeon and we take very careful precautions in order to minimise this risk. We operate in very strict conditions in theatre and you will given 3 doses of intravenous antibiotics. You will be reviewed at 6 weeks for a wound check and to ensure you have not developed a deep vein thrombosis. Mr Nasr will assess your pain, mobility and function and also your suitability to resume any rigorous sporting activities you may wish to perform. At this point, if all is well you be discharged.